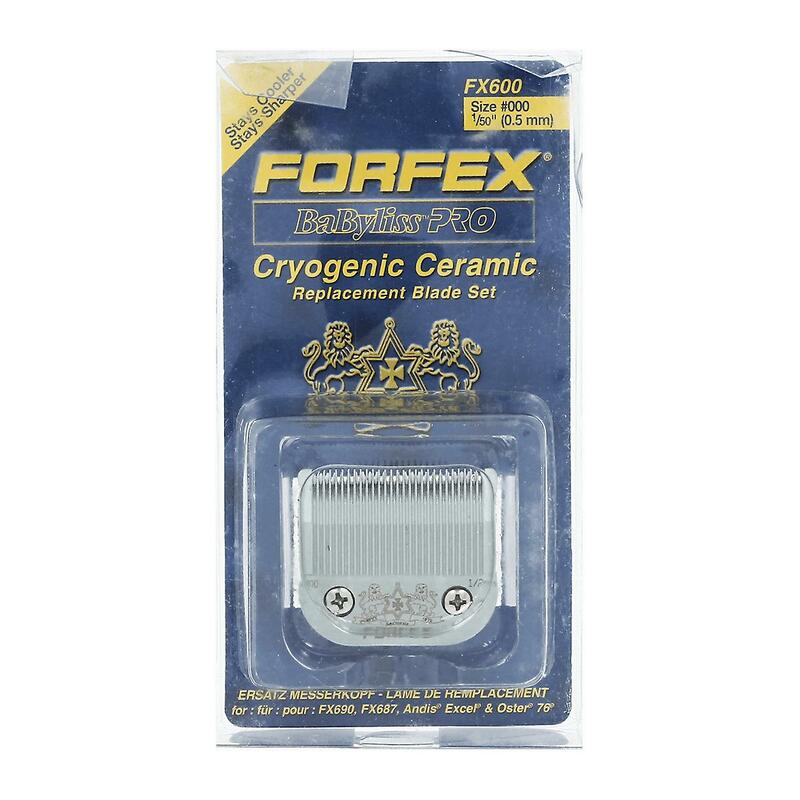 BaByliss Cryogenic Ceramic Replacement Comb 0.5mm fits FX690, FX687, Andis, Excel and Oster 76. Stays cool and stays sharper. Available in different sizes, the BaByliss Replacement blades allow the user to cut hair to a specific length or helps them to create a different style.To Remove: First turn the clipper to the off position. If the blade lock is present please release first. Hold the clipper with the cutter facing you and oush the upper part of the blade away from you. The blade will snap away from the housing. Remove the blade from the tongue. To Replace: Turn motor on; replace the existing or new assembly by sliding it onto the metal tongue. Snap the assembly back into the housing.